Laser skin resurfacing is a great cosmetic procedure for those who want to improve their appearance. If you feel that aging, acne, or any problem related to the skin has changed your appearance, consider this innovative treatment. When you break it down, laser skin resurfacing helps your skin look both healthier and younger. The laser removes layers of skin with exact precision. The process is sometimes called lasabrasion, laser peel or laser vaporization. When the new skin cells form during the healing process, this gives your skin a more youthful looking surface than before. Anyone who has fine lines or wrinkles around their eyes, mouth or forehead can be a good candidate for this procedure. If you have dark skin, laser skin resurfacing may not be the right choice for you. The same can be said for those with stretch marks. The procedure itself is straightforward. 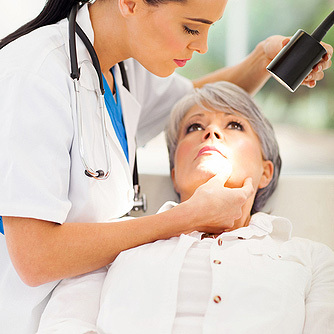 The two most commonly used lasers for laser skin resurfacing are carbon dioxide and erbium. Both are equally efficient at vaporizing the surface level skin cells. For CO2 laser treatment, very short pulsed light emission or beams are delivered in a scanning pattern to remove thin layers of skin. If this procedure is used, the recovery time is approximately two weeks. For those with darker skin tones, erbium laser resurfacing is the better option. With this type of laser removal, there is minimal burning around the surrounding tissue. In turn, this causes fewer side effects like swelling, bruising and redness. It also reduces the chances of experience numbness around the area. For erbium laser resurfacing, the recovery time is estimated to be around one week. It is important to note that although the procedure can do wonders for improving your skin’s appearance, there are also potential risks. Since there are lasers involved, there is a slight chance you may leave the procedure with injuries such as burns from the heat. You may also feel itchiness following the treatment as your new skin forms. For those with a sexually transmitted infection, such as herpes, laser skin resurfacing could reactivate side effects like cold sores. As with all procedures, there is also a slight risk of bacterial infection involved. That said, your dermatologist will tell you how to best care for your skin following the procedure. This will likely include cleaning the skin and applying an ointment to help it heal. Are you considering laser skin resurfacing? The benefits of laser skin resurfacing speak for themselves. If you are unhappy with your wrinkles, acne or other facial blemishes, this treatment can improve your appearance. It is important to note that before starting treatment, it is crucial to find a reputable doctor in your area. While it may take time, it will also ensure you receive the highest level of care. Call our office to learn more about our services and experience in laser skin resurfacing.